SAGA - SAGACITY SPECIAL EDIT. (CD+DVD DIGI) | Online Shop | Wizard LTD. Album: "SAGACITY SPECIAL EDIT. 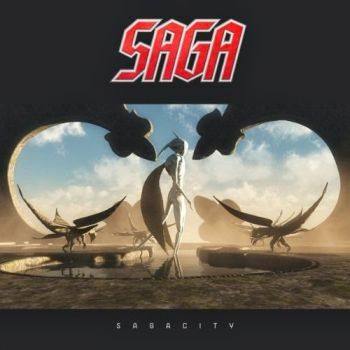 (CD+DVD DIGI)"
With SAGA’s new album “Sagacity”, the Canadian progressive rockers manage to keep their characteristic sound alive while adding a modern touch to their music. "For me this album marks a return to many of the signature elements that put Saga on the map at the onset of the band’s career, while maintaining a firm grip on the here and now. The balance between past, present and future is the key and I think that’s what we’ve managed to achieve. Quite simply, this is SAGA…2014!" He certainly got it right. “Sagacity” does neither lack the striking guitar riffs which go hand in hand with the extensive keyboard arrangement nor Michael Sadler’s characteristic voice. SAGA welcomes you with an enjoyable familiarity and an album full of 12 progressive rock anthems. Sagacity – the English expression which stands for wisdom and cleverness – pun intended – has always been a huge part of the band’s philosophy. SAGA has gotten wiser over the years which shows in their thoughtful, multileveled lyrics. They have gotten smarter with their music arrangements, always leaving the listener amazed with their creativity and inventiveness. Their richness of ideas reflects on the typical but always newly sounding keyboard sounds as well as in its striking melodies. On top of it, it’s Michael Sadler’s distinctive voice which molds the sound of SAGA, and he does so in an extremely good way.